On day 1, the trainer mainly introduced the Windows architecture and some useful troubleshooting tools. Here are my notes. The starting point is to understand the Windows architecture, and keep it in mind when analyze the Windows problems. User Mode: process/ applications and services. 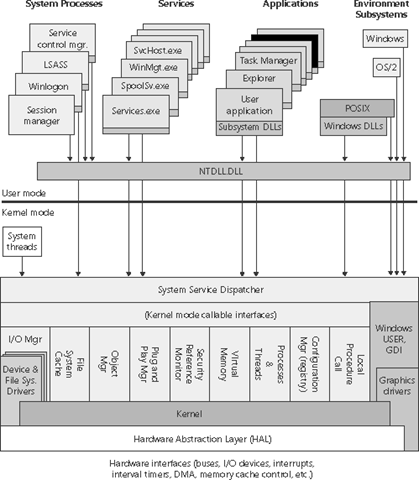 Kernel Mode: system and drivers. 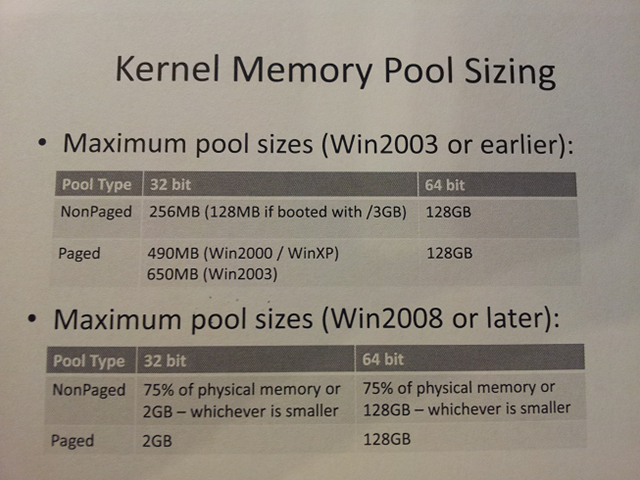 Virtual Memory: simplify programming by allowing each application see the same address range. 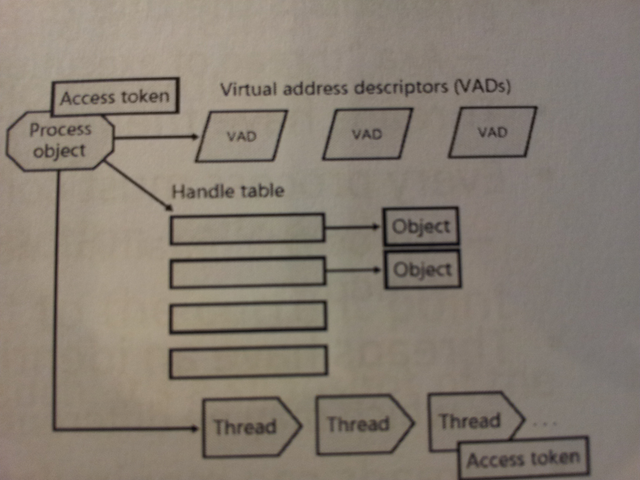 Map virtual memory address to the physical memory address. – Location of I/O Stacks. Memory Leaking: Use perfmon and poolmon to identify kernel-mode leaks.